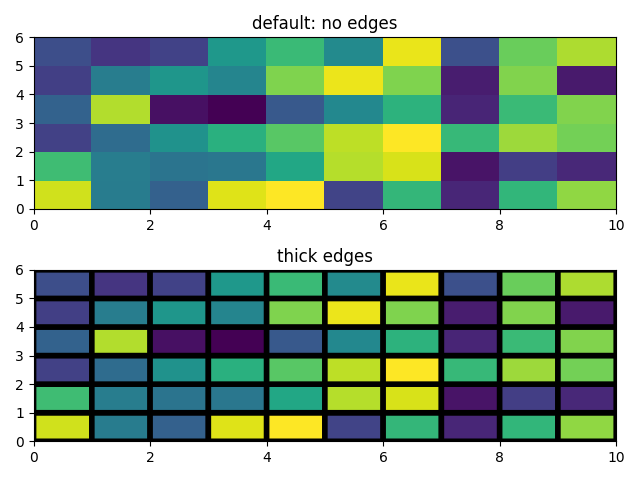 Pcolor allows you to generate 2-D image-style plots. 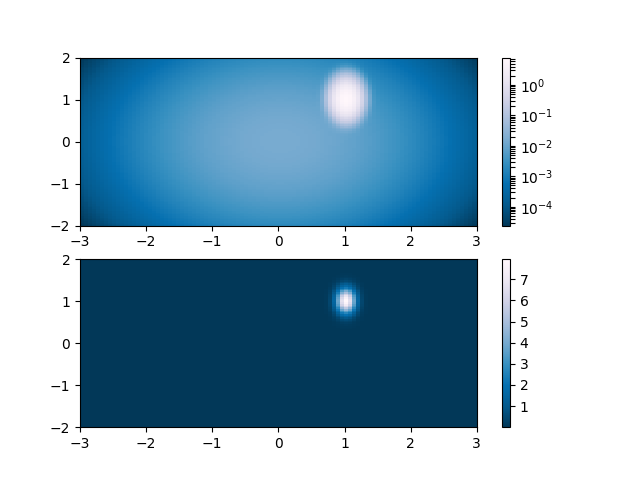 Below we will show how to do so in Matplotlib. Demonstrates similarities between pcolor, pcolormesh, imshow and pcolorfast for drawing quadrilateral grids. # x and y are bounds, so z should be the value *inside* those bounds. # Therefore, remove the last value from the z array. 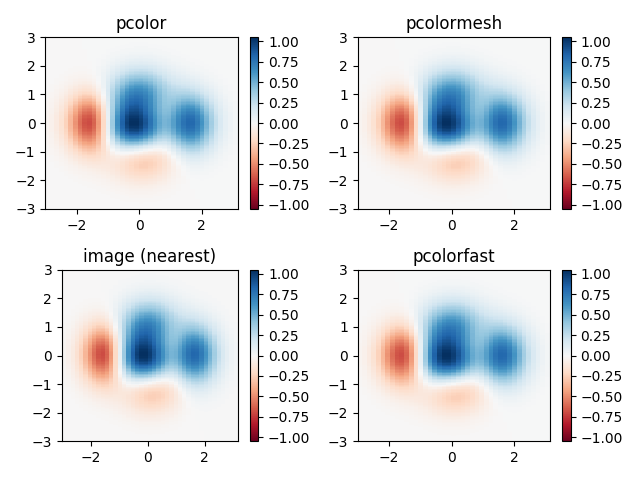 The following shows pcolor plots with a log scale. # A low hump with a spike coming out of the top right. # Needs to have z/colour axis on a log scale so we see both hump and spike. # linear scale only shows the spike.